DONETSK (Sputnik) - NATO countries could send several warships to the Black Sea to support Ukraine after the incident in the Kerch Strait near Crimea, Ukrainian President Petro Poroshenko told the NBC News broadcaster on Wednesday. 'A few NATO vessels can come and be present in the Black Sea because this is the point of global security. And we will discuss which nation will present these frigates but they definitely need to be NATO [countries] to not to allow Russia to act like that anymore', Poroshenko said. 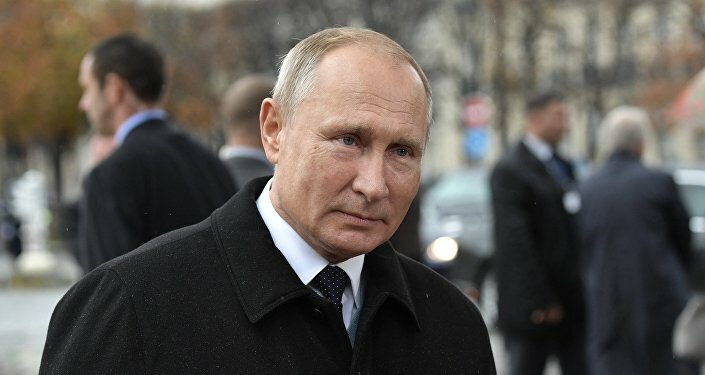 Earlier in the day, Russian President Vladimir Putin called the incident a provocation prepared in advance, as well as a pretext to introduce martial law in Ukraine. Prior to that, Poroshenko signed a decree to impose martial law in a number of Ukrainian regions, following an incident on Sunday when three Ukrainian vessels were seized by Russia in the Black Sea after breaching the Russian maritime border.